“There were an estimated 3.6 million cases of fraud and two million computer misuse offences in the past year according to The Crime Survey for England and Wales, making fraud now the most commonly experienced offence. Sir Tom Winsor, the Chief Inspector of Constabulary for England and Wales, recently commented that “The amount of fraud that is taking place now is probably in epidemic proportions." 3557 romance frauds were reported to Action Fraud, averaging 10 reports a day. This amount equates to £11,500 per victim. Those who fall victim to these frauds are almost twice as likely to be women (63% compared with 37% of men) so if only one romance fraud can be avoided, the costs of making the videos will be worth it. Each of the films give an “if only” message that the victim has learnt the hard way. It may be “if only I had checked” or “if only I hadn’t been so greedy”. Victims portrayed in the films range from an 88 year old ripped off by her carer through to three students who describe how they were scammed via the internet and social media. A synopsis of all the films and their “if only" messages is shown below. #ifonly I had realised an account could be hacked. #ifonly I had spoken to the builder before making any payment over the internet. I will think twice before doing business with a Hotmail account again. #ifonly I hadn’t let her use my card for shopping on Amazon. #ifonly I had thought that the deal I was getting was too good to be true. 7 Online Fraud Student Student who receives e mail that he has had tax refund of £250, adds bank details and loses everything. #ifonly I had thought about it. 12 Business Cheque Fraud Victim over 50 Owner of business over relies on employee who takes £300k from business by writing cheques for cash. Accounts administrator subject to spoofing app – false phone call from bank with number disguised. RETAIL FRAUD from MFF on Vimeo. COURIER FRAUD from MFF on Vimeo. ROMANCE FRAUD from MFF on Vimeo. HOTMAIL HACKING from MFF on Vimeo. GHOST BROKER from MFF on Vimeo. ONLINE FRAUD from MFF on Vimeo. IDENTITY THEFT from MFF on Vimeo. BANKRUPT OFFENDER from MFF on Vimeo. HEALTHCARE FRAUD from MFF on Vimeo. INVESTOR (BOILER ROOM) FRAUD from MFF on Vimeo. BUSINESS CHEQUE FRAUD from MFF on Vimeo. SPOOFING APP FRAUD from MFF on Vimeo. 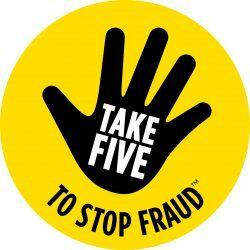 If you believe you have been a victim of fraud or cyber crime, or someone has tried to defraud you, report it to Action Fraud.